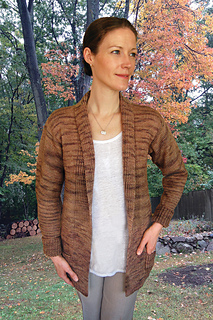 This one piece, top-down cardigan with two optional deep pockets has a rolled collar that is an extension of the wide rib trim. 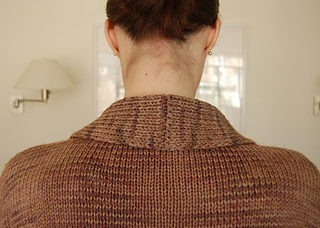 Sleeves are tapered from shoulder to wrist with a wide rib fold-back cuff. 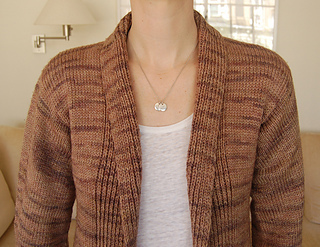 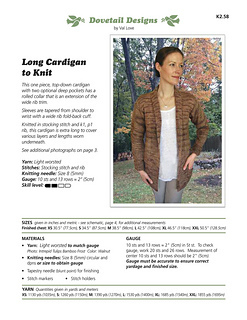 Knitted in stocking stitch and k1, p1 rib, this cardigan is extra long to cover various layers and lengths worn underneath.